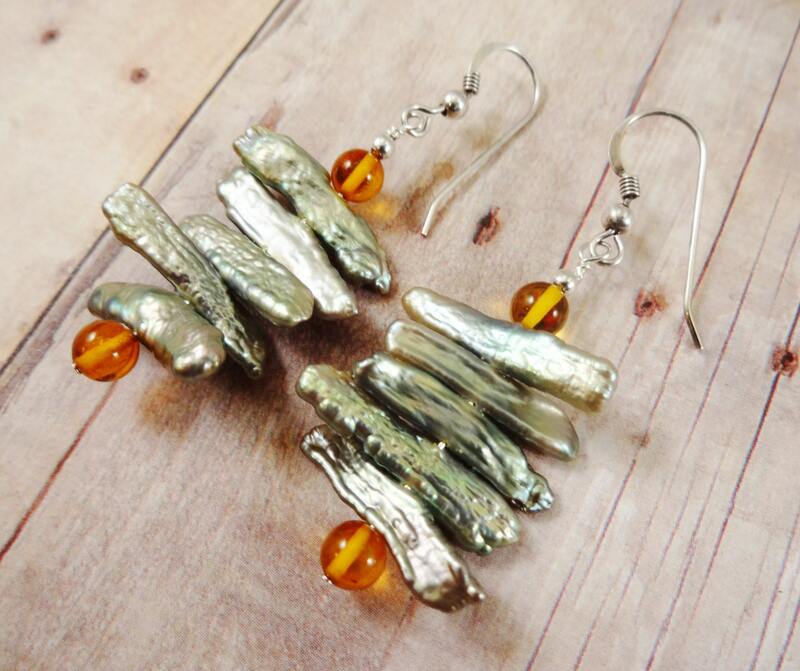 These unique earrings feature lovely green biwa stick pearls bracketed by 6mm amber round beads. Lightweight and comfortable to wear, these gorgeous earrings can be worn in any season and easily transition from daytime to evening wear. Sterling Silver French Hook ear wires shown. If you would prefer Sterling posts or Lever backs, just message me.